If you enjoy weight lifting, functional fitness, and an overall sense of accomplishment, Masonry is a great career path. Masonry requires good physical health— key to longevity in the profession. Masons have been around for hundreds of years building structures that stand the test of time. In order to stand the test of time as a mason you need to keep yourself in top physical condition. The scope of masonry requires, climbing, lifting, squatting, pushing, pulling, balance, and endurance. Masonry has gotten a bad rap for the stress it puts on the body, but if the mason takes physical fitness seriously and works at it masonry can be a satisfying healthy career and a lucrative one. Many people spend time at the gym to achieve the physique that a mason comes by naturally doing the day to day physical labor that is required. Exercise is not only important for your heart, lungs, and muscles, but also for your brain. Research shows that exercise can help keep your mind sharp, promote feelings of alertness and well-being, and wards off depression and anxiety. Physical activity stimulates various brain chemicals that leaves people feeling happier and more relaxed. On a day-to-day basis for a mason the work is the exercise. It is also what a mason does while he or she is off the job that makes a difference, eating right, keeping hydrated, a good workout program, and a series of stretching exercises are vitally important for the profession of masonry. Many masons graduate and go on to starting their own business, there are many benefits to that as well. Owning your own business is a satisfying and great for your mental health. You have the option of a more flexible lifestyle. You just might change the world. Masonry gets you out from behind a desk and a sedentary lifestyle. Using your creativity is healthy for the mind! It relieves stress, increases and renews brain function, can help prevent Alzheimers, and improves one’s mood. There can be nothing more creative than a beautiful stone or brick fireplace! People don’t look at the electrical work or the plumbing in a house. They tend to gravitate toward the beauty of masonry. 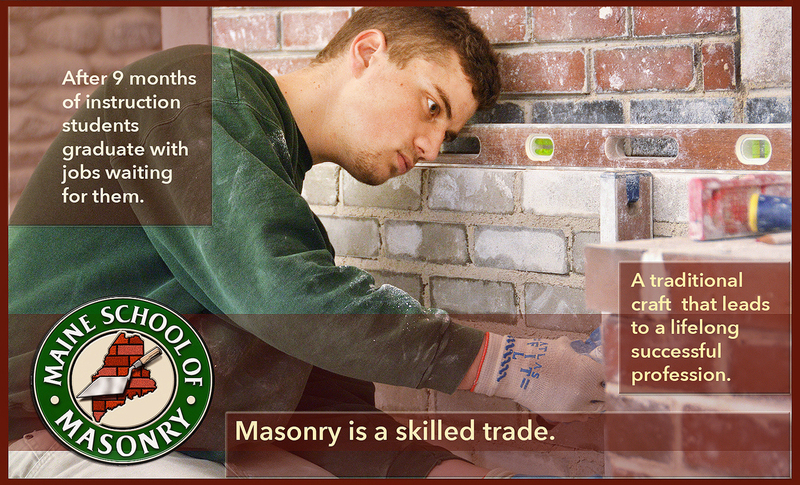 Masonry is a great career choice. I highly recommend it.